We’re so excited, because ABC’s Roseanne revival is full steam ahead, and will premiere on March 27th, 2018. John Goodman is, as you know, reprising his iconic role of Dan Conner. But what you might not know is that Dan didn’t *actually* die at the end of Roseanne‘s OG run. Even though he did…Wait, huh? 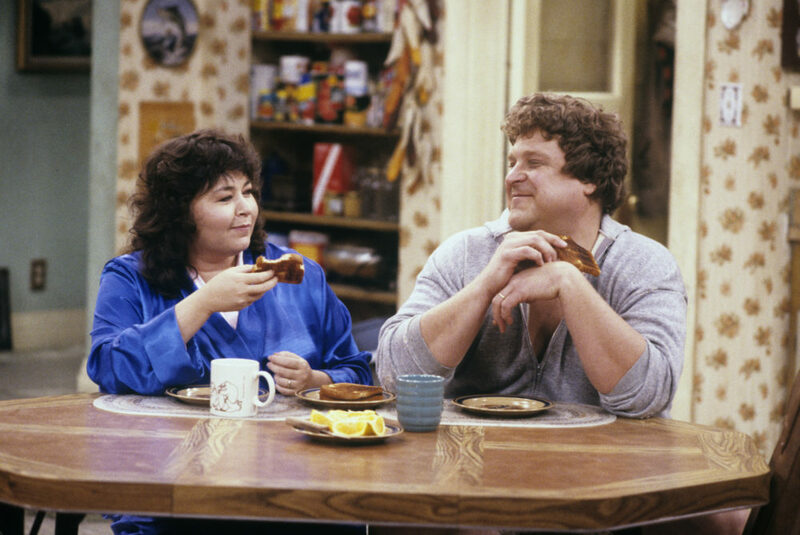 According to Roseanne Barr herself, Dan didn’t die in the series finale. Hmm. So, it’s not *totally* clear what Barr means by that, and we’re not totally buying it, but it does give us something to mull over. What we do know is that the revival is ignoring Dan’s “death.” He’ll be alive and kicking when the show returns, no matter what viewers saw the first time around. And we’re so happy about that. Because, hello, John Goodman. There are just nine episodes of the new Roseanne on the way (so far), and Barr has said they’ll address the absence of son Jerry Garcia Conner, the return of the original Becky, and develop a new character for Sarah Chalke (who took over the role of Becky after Lecy Goranson left the show).